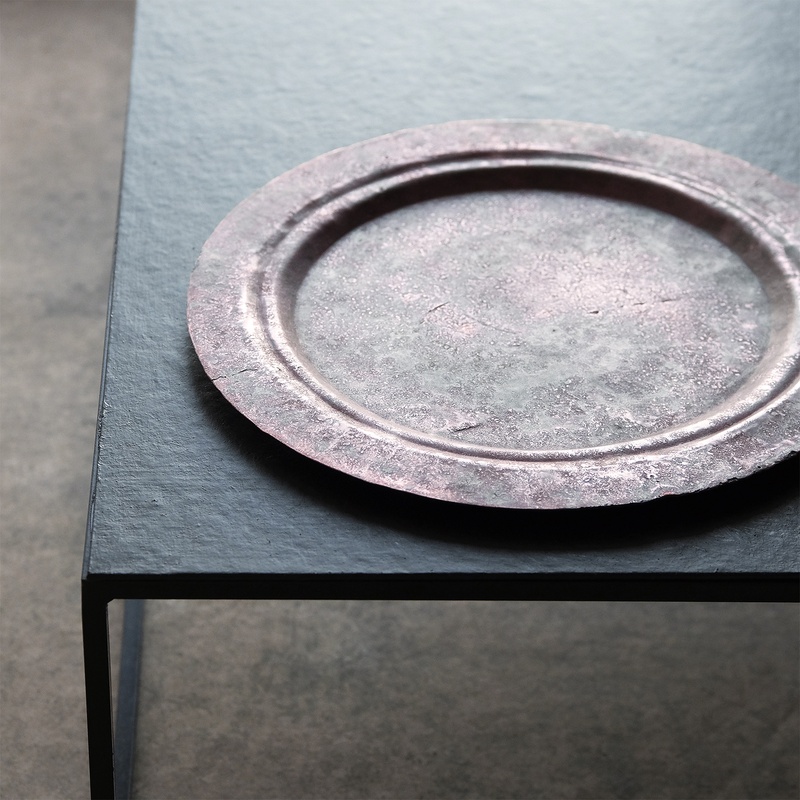 Motomu Oyama works with variety of metals, creating abstract sculptural objects, as well as utensils, vessels and hand-built stands and desk lamps. 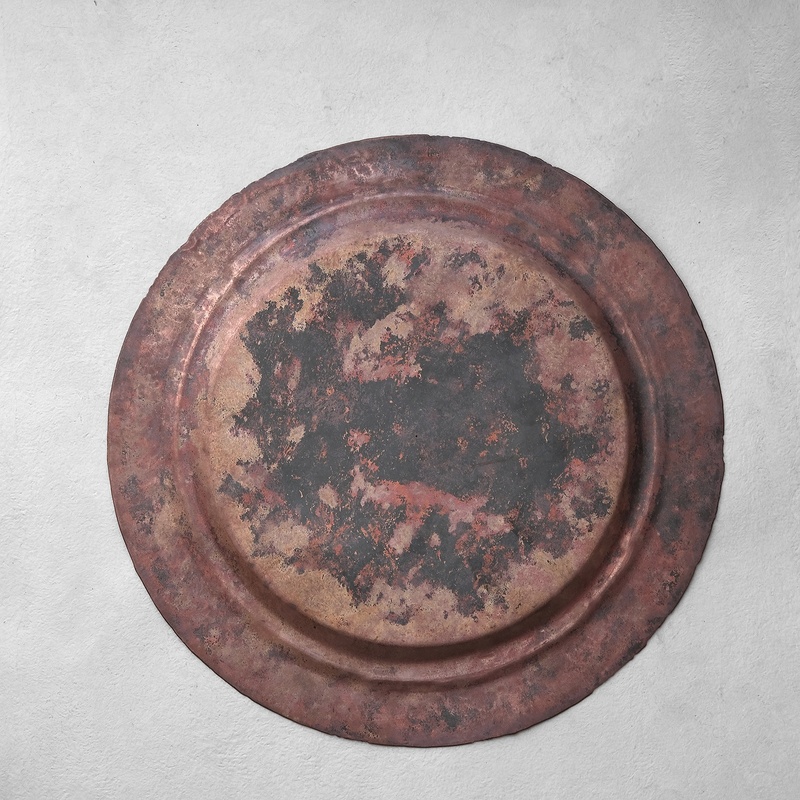 Oyama uses the properties of each metal to create textures and surfaces that are slightly corroded giving his pieces a patina of age. 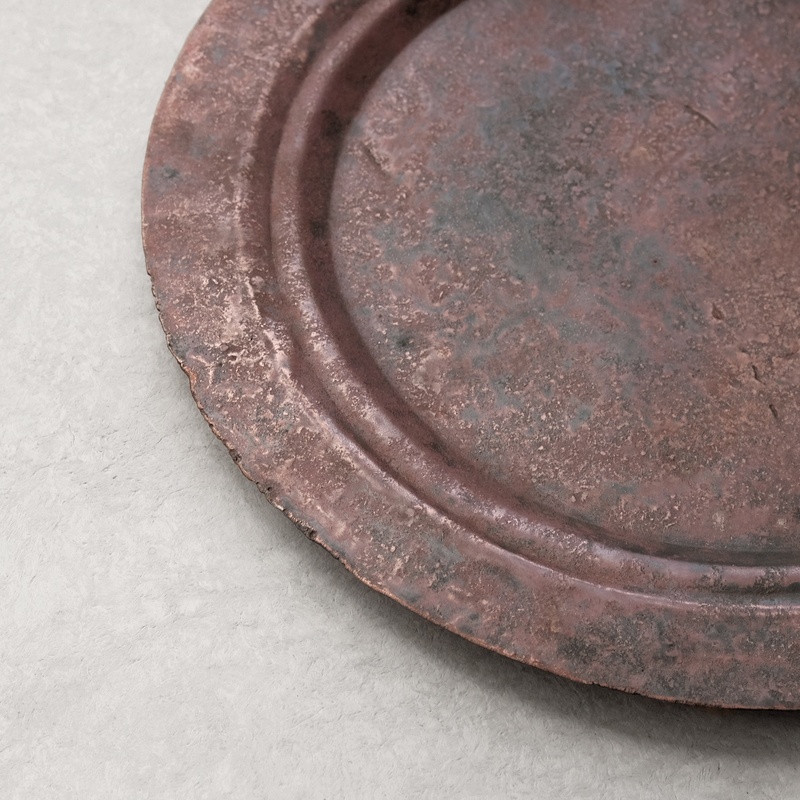 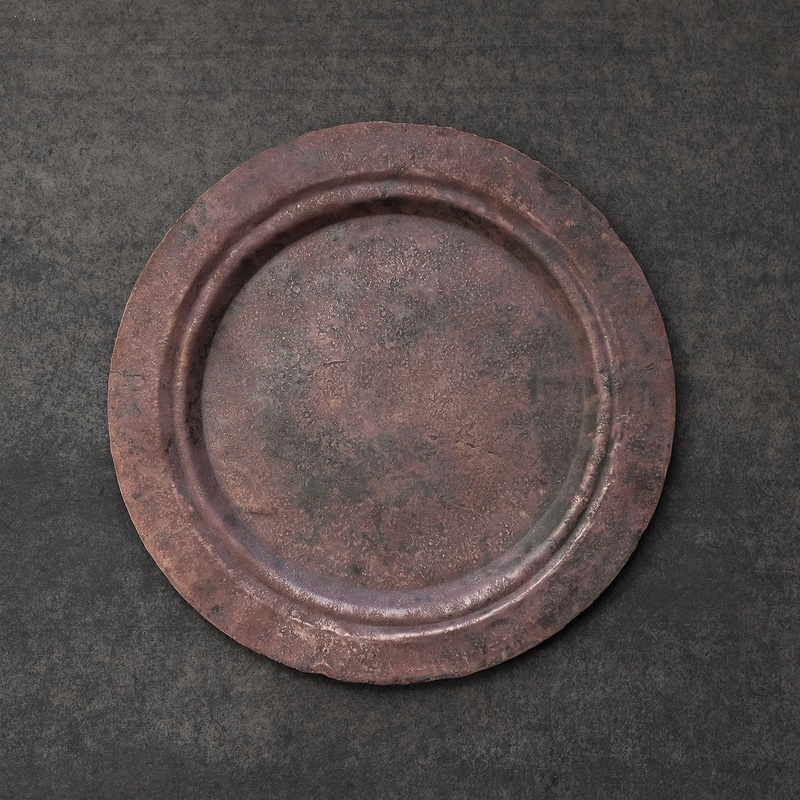 **The surface of this plate is sensitive to salt and acidic liquids such as vinegars and dressings. 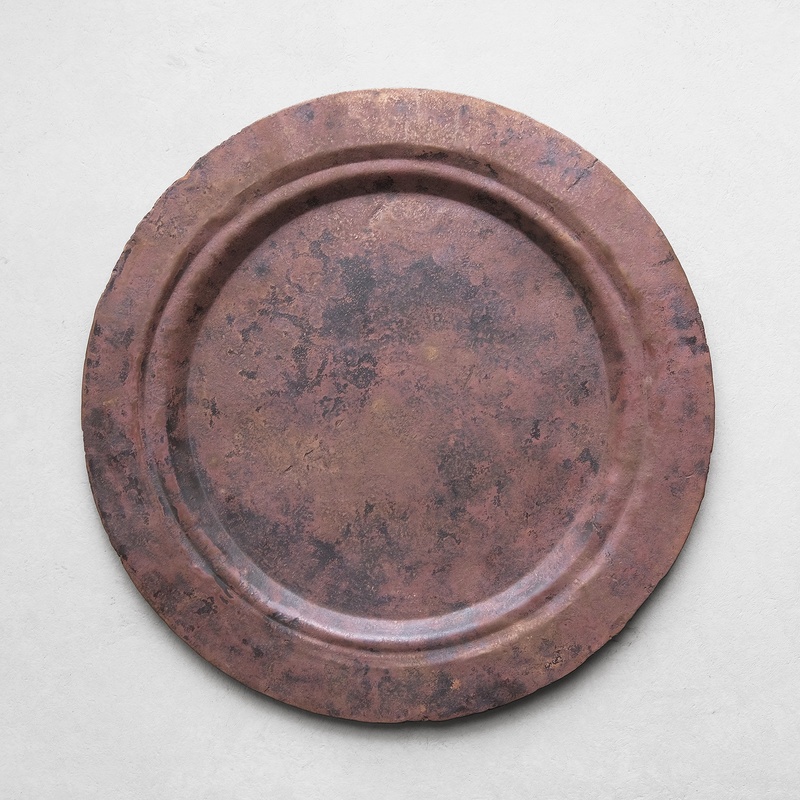 We recommend that it be used as a tray or with dry foods only.